When you think about '80s cartoons, Heathcliff is probably not one that comes to mind right away. However, its success and longevity can't be claimed by many animated TV series from the decade. With the voice of Mel Blanc and the production of Ruby-Spears, the comic strip character Heathcliff made his first appearance on Saturday morning TV in 1980. After airing 26 episodes through 1982, Heathcliff would get a second chance two years later. The new series produced by DIC Entertainment would last for 86 episodes over 2 seasons of first-run syndication from 1984-88. The series would also continue in reruns on American TV for another decade up through 1999. What most people might forget is the theatrical film Heathcliff: The Movie released on January 17, 1986. 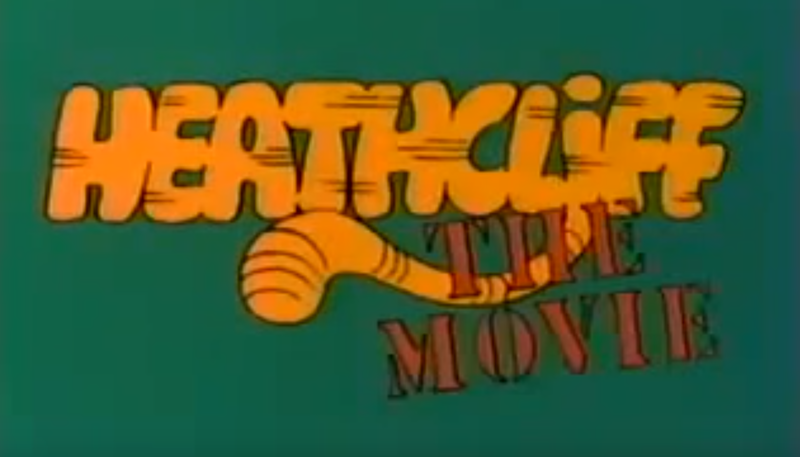 The movie actually didn't include many new elements as it feature Heathcliff recalling previous stories (recycle from the DIC series) to his three nephews. The film banked $2.7 million at the box office which was good enough for 8th place among G-rated movies in 1986. Paramount Home Video would also release the film on VHS in 1988. With it's 30th anniversary approaching, take some time to rediscover Heathcliff: The Movie and this underrated franchise from the '80s.